Using problem-based learning and real-world situations, this course teaches you how to apply knowledge in practical and relevant contexts. Our Many Ways™ learning model features multiple teachers and various instructional styles for each concept so you can find a style that meshes with your individual learning preference. This rich, immersive experience helps you better understand and retain information, for an all-around smarter way to learn. 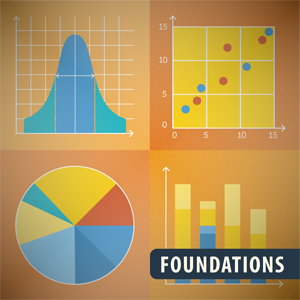 Sophia's Foundation of Statistics course teaches foundational skills that will enable students to be successful in a college level Statistics course. Students will learn about fundamental concepts in statistics such as central tendency, variation, correlation, probability, and statistical analysis.